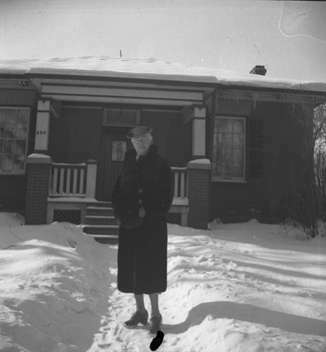 Gertrude Bryan wearing a 3/4 length coat standing in front of a house in winter. Gertrude Bryan at 206 Byron St. N., 1945, Marjorie Ruddy. Whitby Archives A2013_040_1228.